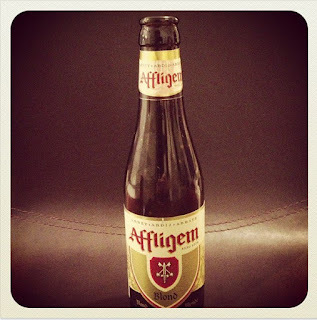 The Genuine Beer Blog: Affligem Blonde !!! Hey Everyone, Apologies for no post yesterday I was having a dinner party with @e_boyler and @BoyleMeetsWorld, thank you guys was a really nice evening. The Beer on review tonight is actually one that was brought to the dinner party last night, Hope you all enjoy !!! Affligem Blonde is a very nice, refreshing beer, which is light and mellow in flavour. There is a slight hops flavour to the beer, but not overly. This beer also has a fruity quality to it, with a slight citrus note to it. This beer is of medium carbonation, which gives it that refreshing quality along with the citrus notes. There is a slight yeast taste to the beer, which to me comes from the second fermentation that the beer goes through in the bottle, this also means that when you first open the bottle it can be quite carbonated, so watch out it doesn't go everywhere. 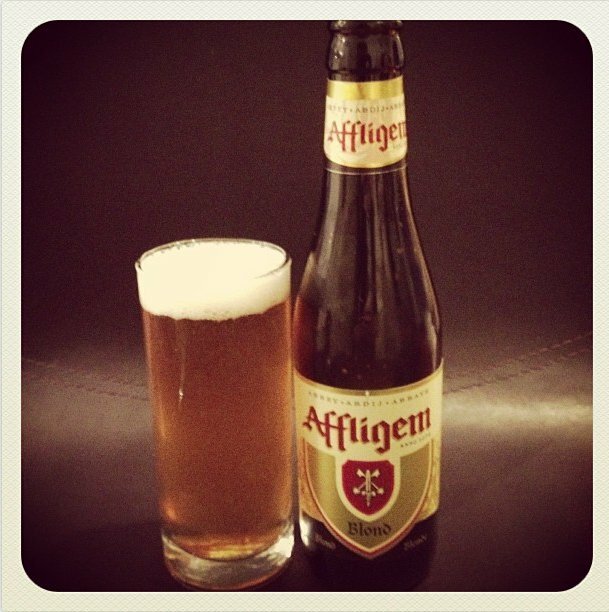 Affligem is a really enjoyable beer, its biggest surprise is that it doesn't taste overly alcoholic considering it comes in at a 6.8% ABV. You would expect it to be very strong, however it is a really well balanced beer, with slight bitterness and a slight sweetness to bring the whole thing together. On the whole Affligem is a really nice, refreshing beer, with a slight bitter after taste, giving that moreish quality to the beer. This is a very enjoyable beer and one that you would find yourself drinking a good few of. All in all a very good, enjoyable beer, that I would recommend giving a try.